It’s been a chilly 2018 so far, but Riverdale is finally here to gently drape a leather Serpent jacket over our shoulders and tell us everything will be alright. 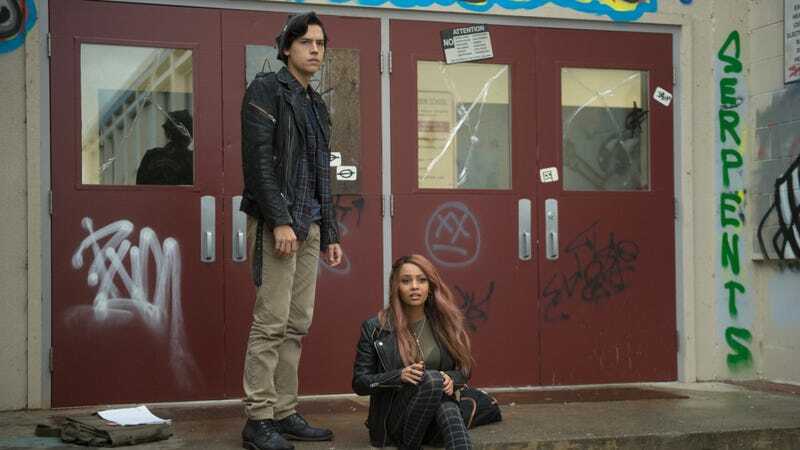 After reviewing their #RiverdaleResolutions, hosts Marah and Cameron dive into the show’s back-to-basics return, but, in typical Dial M For Maple fashion, find themselves wondering who they can trust—certainly not Agent Adams. Plus, does Chic have dark plans for the Cooper clan? Is Fangs Fogarty Keller-curious? And what’s the deal with Penelope Blossom’s frisky new lease on life?